I am excited to have finally joined the world of blogging. This time, I have a very specific purpose – that is to share and learn from all of you who are currently teaching bilingually. This will be my first year in the bilingual setting, and my seventh year as an elementary classroom teacher. This month, my goal will be to invite and connect with many of you so you can share your experiences in the bilingual setting. 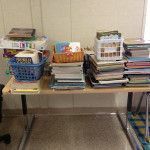 For me, the first thing I am thinking about is classroom setting and organization. Are there any special techniques or tricks you use to help you keep organized as many teachers in dual-language schools teach certain subjects in the target language and other subjects in the home language? 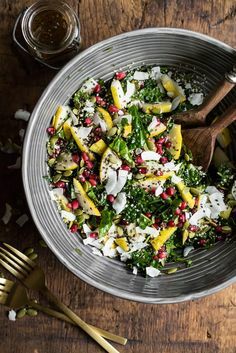 Would love to read your comments! Estoy sumamente contenta de ‘finalmente’ poder unirme al mundo del blog. 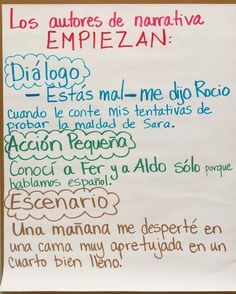 Esta vez, tengo un objetivo muy especial – compartir y aprender de todas aquellas personas que están enseñando /son maestros(as) en un ambiente bilingue. Este año va a ser la primera vez que enseñe en una clase bilingue, pero es mi séptimo año como maestra de primaria. Este mes quiero poner como objetivo invitar y conectarme con todos ustedes para que puedan compartir sus experiencias. Para mi, algo muy importante es la organización de la aula de clases. ¿Hay algún concejo especial acerca de cómo organizar la clase? Yo se que muchos maestros enseñan ciertas materias en Español y otras en Inglés. ¡Me encantaría escuchar y saber de cómo tu arreglas tu clase! So excited to have another dual language blogger! Can't wait to learn from you! My advice? Keep it as SIMPLE as possible when it comes to materials. With the exception of books, invest in things that don't come with either language on them (sticky notes, chart paper, magnetic letters etc.). Don't buy prepackaged Spanish posters or very many games! Spend your money on great books in Spanish and English! Candis… thanks so much for your advice. Seriously! 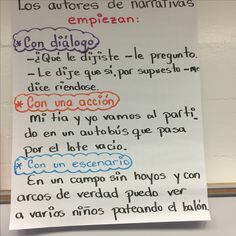 I'll be teaching in a dual language classroom this year (it's a one way program which is moving from transitional to dual-language in order to foster and maintain Spanish versus subtracting it, which is what we had been doing until now). I am at that point in the year where I have to prepare materials and classroom ideas for the new year and I was stressing about materials (signs, posters, etc). Your advice makes sense. Buy index cards, chart paper, letters, sticky notes…. makes so much sense!!! I will definitely be shifting my money to books for my kids!